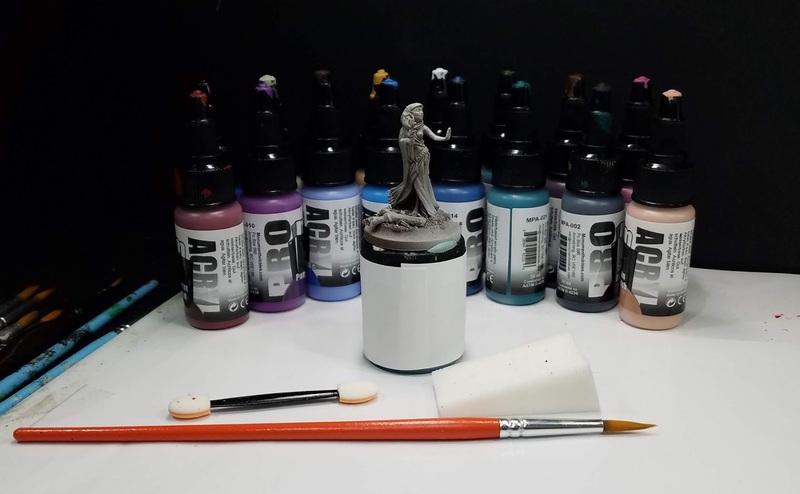 As you know, I create a number of painting tutorials using Dark Sword miniatures. Normally they are painted with Reaper Clear and Liner paints, or with oils. I thought it might be interesting to paint one using the new paints from Slow Fuse Gaming and Creature Caster! 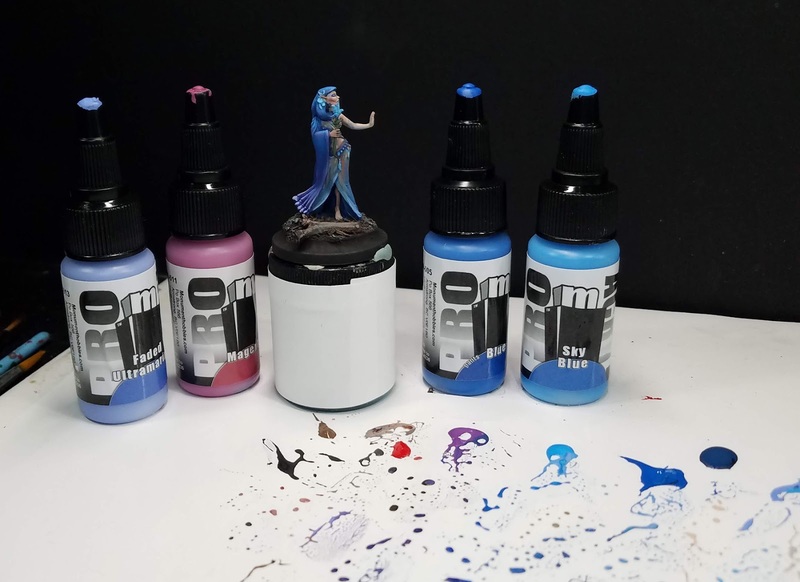 I used only these paints, as I really wanted to get a feel for their capacity for glazing, blending, coverage, and all the techniques that I normally utilize. Sometimes paint has very different consistency, and you have to modify your approach accordingly. Here are a few scenes from that video, which was done for my patrons this month! I tested out the paints for freehand designs for the first time, and they did very well. You can see that I was able to easily establish some delicate patterns on the cloth. 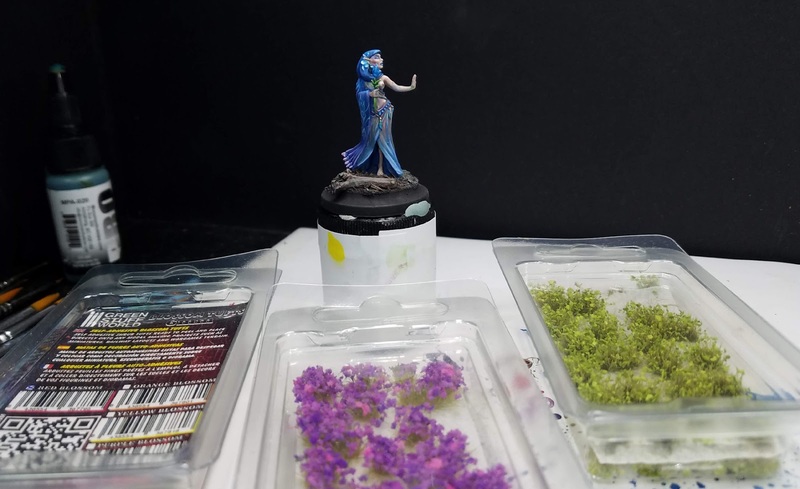 As usual, I did a segment on the basing and foliage. The Green Stuff World shrub and flower tufts worked very well once again! The final result of the video. Not only did the transparent cloth work out, I found that I was able to wet blend very nicely, and blend the blueish tones into the skin colors easily. In each video, I try to cover a few main topics. 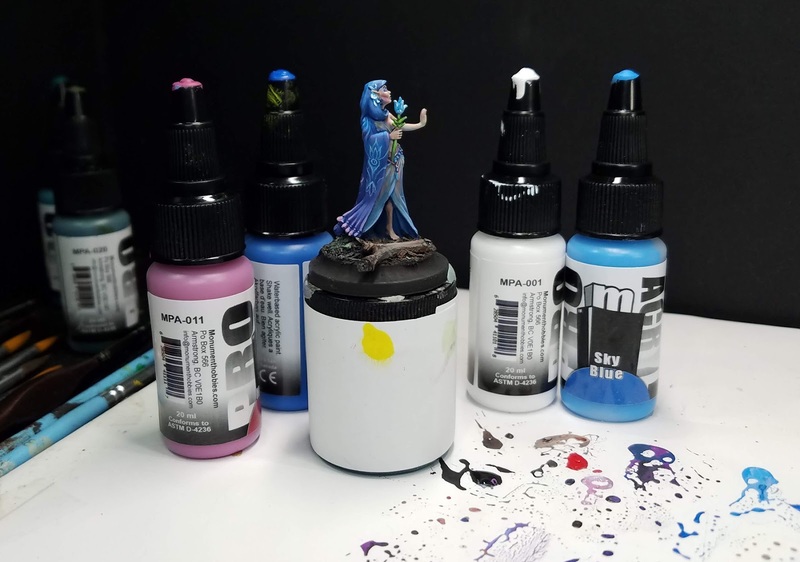 I always discuss how the Shaded Basecoat technique allows me to make adjustments on the fly, and establish the 'core' of my color scheme quickly. When you do so, it is much easier to make the decision to alter, add or eliminate something from your original concept. 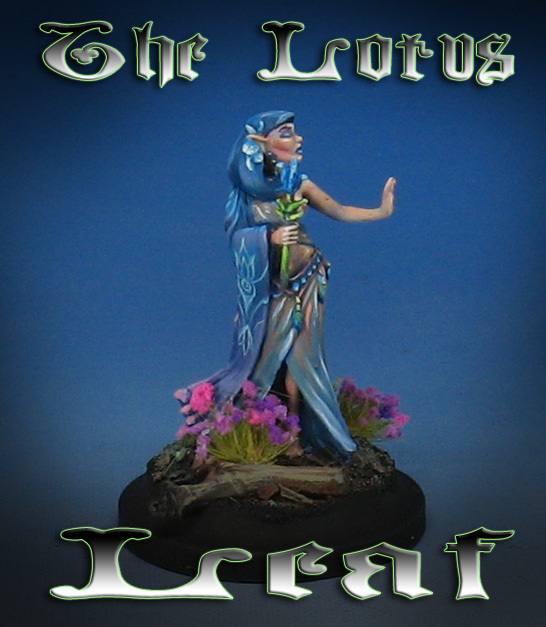 I tried to demonstrate using a wide range of blueish tones, as well as freehand designs and transparent cloth.